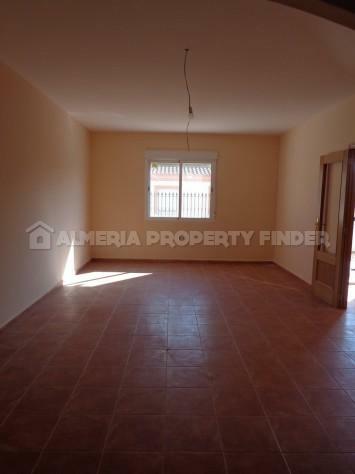 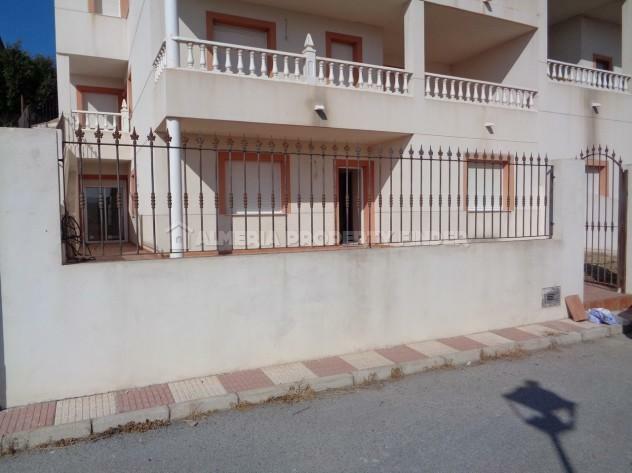 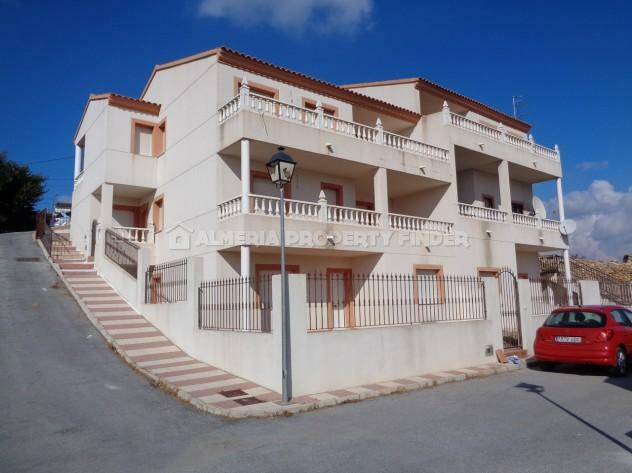 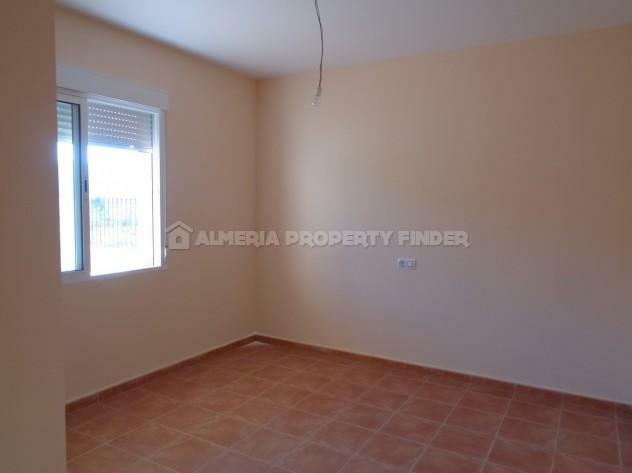 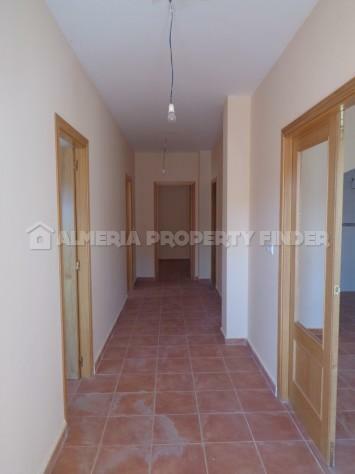 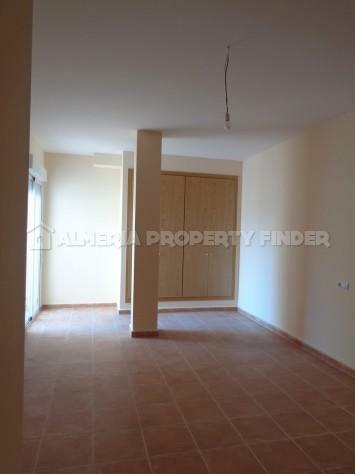 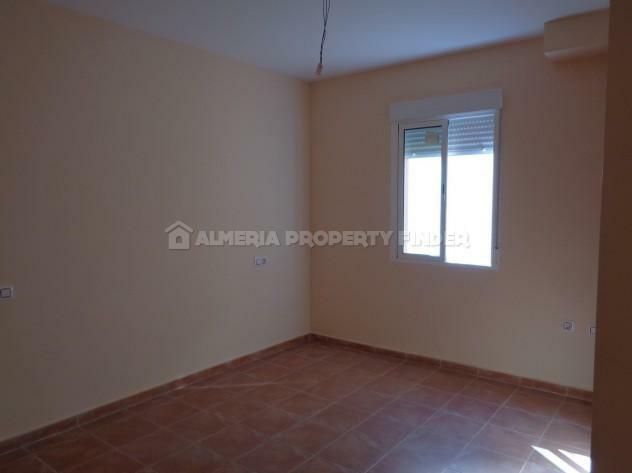 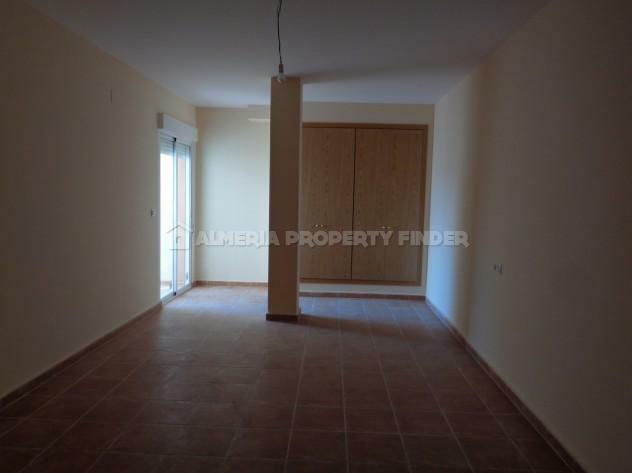 Three bedroom apartment for sale in Almeria, set in a small new development on the edge of the pretty village of Almanzora. 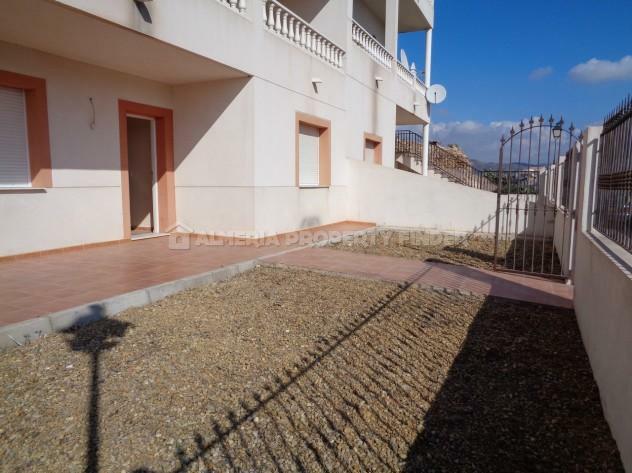 The apartment benefits from an enclosed gravelled garden to the front, with a patio area leading to the front door. 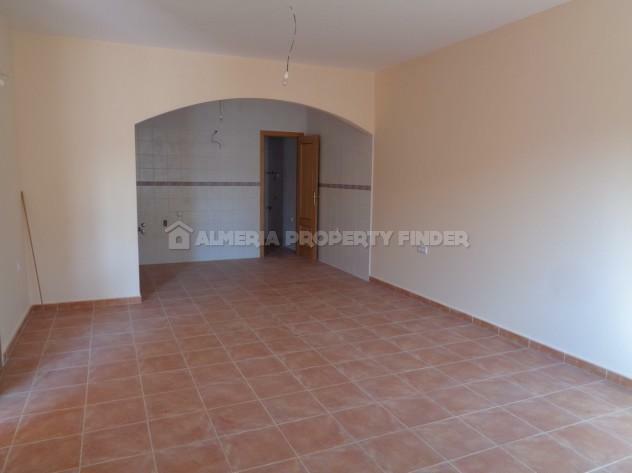 The apartment comprises an open plan living area with arch to an American style kitchen (not fitted) with utility room off. 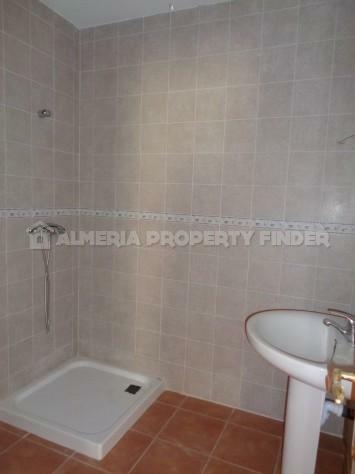 The master bedroom has fitted wardrobes and an ensuite bathroom comprising bath with shower over, WC, basin and bidet, as well as patio doors leading out to the garden. 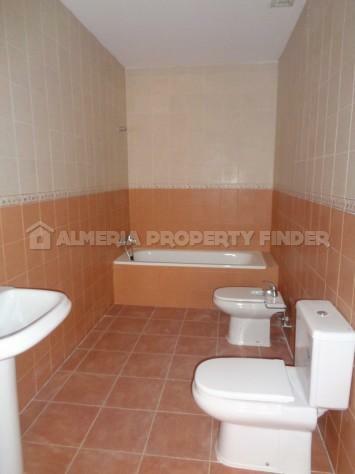 There are two further double bedrooms with fitted wardrobes, and a separate shower room comprising shower tray, WC, and basin. 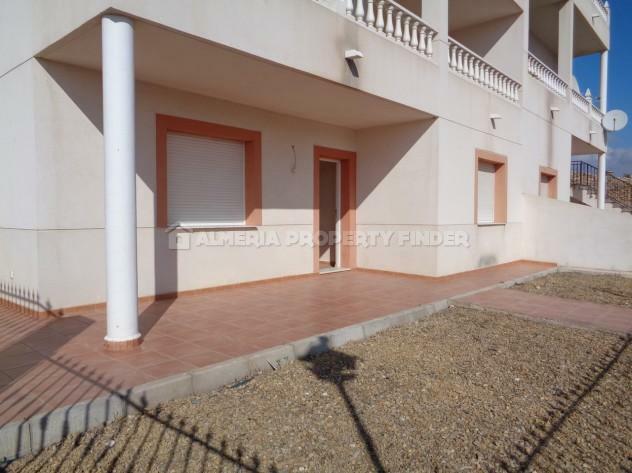 If you would like to receive details of other village properties for sale in Almeria, please let us know your requirements and we will be happy to search our portfolio and send you details of any suitable Spanish properties for sale in Almeria.